Aventus for Her marks the irresistible feminine counterpart to the legendary Aventus. Nearly three years in the making, this olfactory celebration of femme forte (strong women) was highly anticipated before its triumphant unveiling by The House of Creed. Aventus for Her is inspired by some of history's most powerful womenempresses, queens, and heads of state, who were Creed clientsas well as modern women everywhere who confidently shatter glass ceilings. 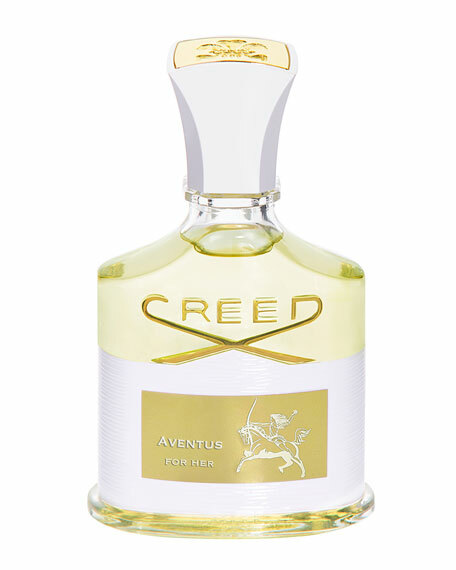 The Aventus for Her spirit lives in every woman; she is poised with inner strength and radiance, and leaves an indelible mark on all she touches. To be near her is to feel the presence of greatness.